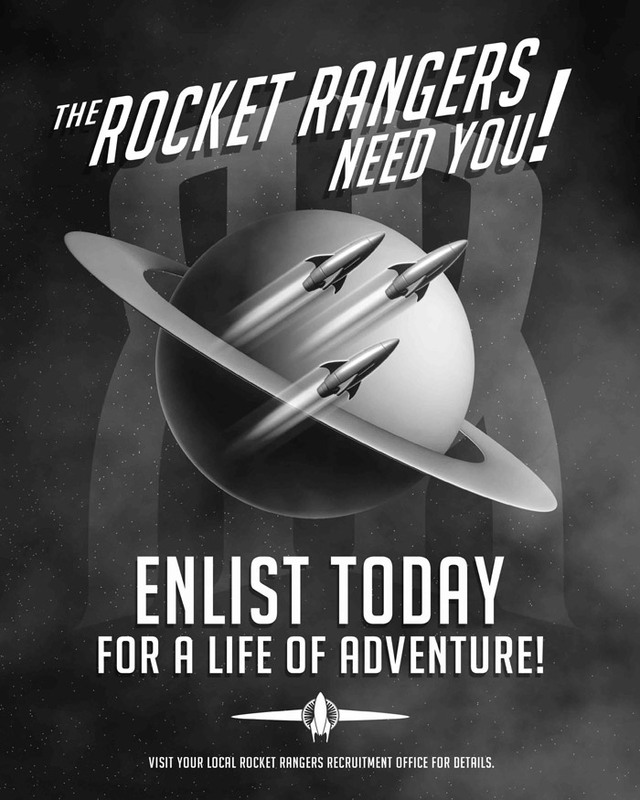 This is the backdrop for Rocket Age, from Cubicle 7. The game uses the Vortex System, the same mechanics used in the Doctor Who and Primeval games. A system of attributes, skills and target numbers, players can influence rolls and nudge the course of events by spending from a finite pool of Story Points. The Rocket Age game comes in the form of a robust, hardback book or a PDF – with more than 250 pages of background and mechanics. Written by Ken Spencer, and illustrated with some great black-and-white images, the electronic version includes complete bookmarking, to complement the table of contents and index of the physical edition. Flicking through the book, you’ll find sections on the background of the Solar System, character creation, and the Vortex game mechanics, closing with a short section for the Gamemaster. If you have read the likes of Burroughs, Wells or Conan Doyle‘s Challenger books, or recall the radio dramas of Flash Gordon or Buck Rogers, you have a taste of the Solar System presented here. In the early 1930s, the combined skill and genius of Einstein, Tesla and Goddard created a propulsion system that allowed sublight travel to Mars. Over the course of the following years, humanity visited other worlds and discovered new civilisations. For good or ill, the history of the early 20th century has expanded to encompass the worlds of the inner Solar System. The first section includes details of each world, running to a variable length depending on the potential for immediate adventure. For example, Mercury, with extremes of temperature and limited colonisation effort, makes for a much shorter section that Mars. Mars, indeed, has the most substantial write-up and Cubicle 7 has followed that up with a whole additional supplement – Blood Red Mars – further expanding on the troubled surface of the Red Planet. The second section goes into the whole business of character generation, while the third covers the game system. If you have played either the Doctor Who or Primeval from Cubicle 7, you will have a sound grounding in the game. Indeed, as a GM, owning either or both of these provides some interesting possibilities. In a game of Georgian era space travel (I know… very Anglo-centric, aren’t I) to alien worlds packed with primitive tribal cultures, the addition of time traveller vagabonds and zoo-loads of angry dinosaurs pretty much sounds like a must. While the Rocket Age book offers a scattering of statistics for native wildlife and Blood Red Mars offers up more, it wouldn’t do any harm to round out the collection with some Primeval extras – and maybe a stray future predator. I covered the game in more depth in a Rocket Age Geek Native review – but, I’ll reiterate that I found this a solid offering with an interesting accessible game, a simple system, and great potential for two-fisted pulp fun. For a player of Doctor Who, I can see some interesting potential. Given the Third Doctor’s expertise with Venusian aikido and encounters with native Martians – what if the Time Lords had exiled him to Mars or Venus instead of Earth. They’re somewhat ignorant in their high-minded attitude and aloofness, so might they not quite know the difference? One habitable planet in a system probably pretty much compares to another, right? Once you have the Time Lord and his companions trapped there – perhaps they’ll be surprised to find it all too habitable, with far more to offer visitors than the inhospitable Red Planet we know today. What happened? Has someone interfered? Might the Time Lords have sent the TARDIS to an alternate universe?